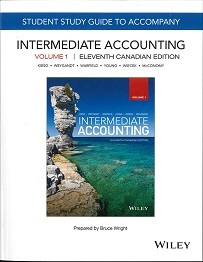 This is the second of two courses in intermediate accounting designed to prepare the student to enter a professional accounting program at the intermediate level. FMGT 4110 covers significant aspects of the liabilities and equity section of the balance sheet, and the related income statement accounts. Both International Financial Reporting Standards (IFRS) and Private Enterprise GAAP (PE GAAP) will be examined. Identify and explain the accounting concepts and principles that support the treatments of economic events under IFRS and Private Enterprise Standards. Distinguish financial and non-financial liabilities; identify more common current liabilities; apply standards in recognition of non-financial liabilities. Identify primary sources of long term financing and apply measurement and reporting of issuing, maintaining and pre-mature redemption of bonds. Identify and account for multiple types of capital transactions and classifications that comprise Shareholders’ Equity. Identify and value financial instruments that comprise both debt and equity components and the disposition of each component; reinforcing the notion of substance over legal form in financial reporting. Differentiate between various forms of derivative instruments. Identify the conditions for and fundamentally apply Hedge Accounting. Calculate and present basic and diluted earnings per share. 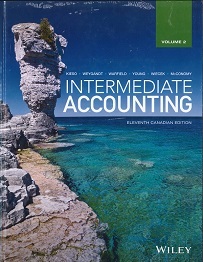 Understand the primary components comprising the overall income tax provision (expense) determination; the reconciliation of accounting to taxable income; the identification of permanent and temporary differences in tax/accounting recognition and determination of deferred tax balances arising from temporary differences and the impact of calculating the overall tax provision. Handling the identification and recognition of tax losses. Intra-period tax allocation in the Statement of Comprehensive Income presentation. Apply the fundamental defined benefit pension model; develop the pension expense and related entry; apply related note disclosure. Outline the purpose of leases, the requirements for capitalization by the lessee and the variant reporting treatments reflecting the underlying lease agreement; guaranteed residual value, bargain purchase option; sale-leaseback arrangements on the part of the lessee and sales-type leases. Understand the implications of IFRS16 effective January 1, 2019. Develop and apply leases reporting on the part of the lessor; distinguish direct financing and sales-type leases. Apply the guidance for accounting changes; changes in estimates, changes in accounting policies and material prior period errors. Prepare restated comparative Statement of Retained Earnings. Preparation and disclosures of Statement of Cash Flows under both direct and indirect operations formats at an advanced level, incorporating topics throughout this course and prior accounting courses. Discuss significant other reporting issues; Note Disclosures, Interim and Segmented Reporting, Subsequent Events, Related Party Transactions. Interested in being notified about future offerings of FMGT 4110 - Financial Accounting 2? If so, fill out the information below and we'll notify you by email when courses for each new term are displayed here.